The Guaycuras, Pericues and Cochimies, native cultures of Baja California Sur did not practice goldsmithing and therefor showed now interest in pearls. They ate mollusks, but cooked them first, resulting in smoked pearls, blackened objects lacking attractiveness. Unlike the Europeans, who made long and dangerous expeditions searching for the greatly valued gem. One of the main motives that brought Hernan Cortez to the Gulf of California was to discover the wealth of pearls this sea possessed as it had never been looted before. The pearl embedded in the Royal Crown of England is called The Great Lemon, due to its resemblance with the fruit. Divers from the Ruffo & Gonzalez S. Company found this extraordinary piece in 1883 on a site near the island of San José. 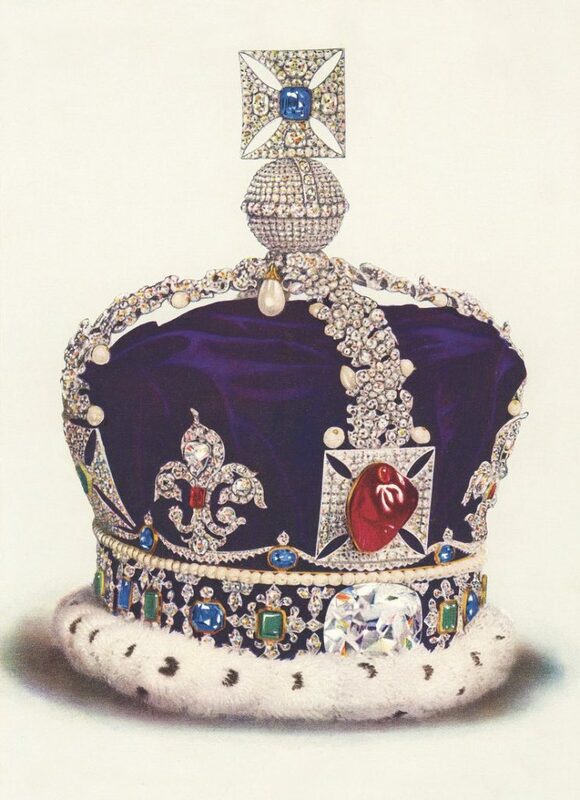 The Ruffo family gave the pearl to King Edward VII, successor to the legendary Queen Victoria. The king astonished the best jewelers of the time with the colossal pearl and they all agreed that they had never before seen a similar jewel in all of Europe. All the European nobility wanted pearls of Mexican origin that were already know as “The Queen among Gems.” Baja California Sur became the World’s main pearl producer. Queen Elizabeth I of England, Catherine the Great of Russia, Marie Antoinette (wife of Napoleon Bonaparte) and Princess Eugenie of France (wife of Napoleon III) wore pearls exclusively from Mexico. Pearls have been the object of desire, ambition and envy of the most powerful people of all times. Cultures have left the testimony of their beauty in books, tombs, sarcophagi and safes. Pearls are a symbol of power, sensuality, beauty and success. Mexican pearls have been the most appreciated throughout history to our present. The pearls of the Sea of Cortez are famous mainly for their colors and the great fame they got with the European nobility. These pearls are preferred as their process is closet to the traditional method, extracting them from the bottom of the sea in a natural way has been a millenary tradition. This tradition is carried in the veins of South-Californian culture. It has allowed us to become experts in the process of sea farming and to produce the best pearls in the world. Today you can wear a beautiful Pearl from the Sea of Cortez and enjoy its amazing colors and unparalleled quality. Its fame will make you feel as if you are discovering a treasure of royalty. You can get the most beautiful and special pearls in the world without the need to make long, dangerous expeditions across oceans, you just have to have to courage to visit one of THE VELVET BOX locations.